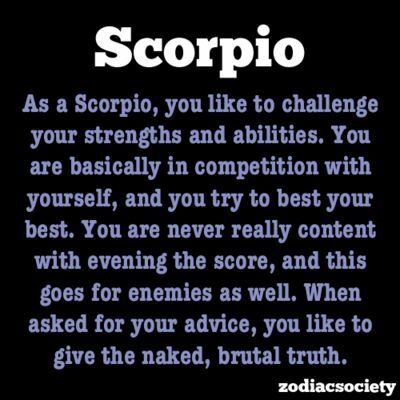 As A Scorpio, You Like To Challenge Your Strengths And Abilities. You are basically in competition with yourself, and you try to best your best. You are never really content with evening the score, and this goes for enemies as well. When asked for your advice, you like to give the naked, brutal truth.